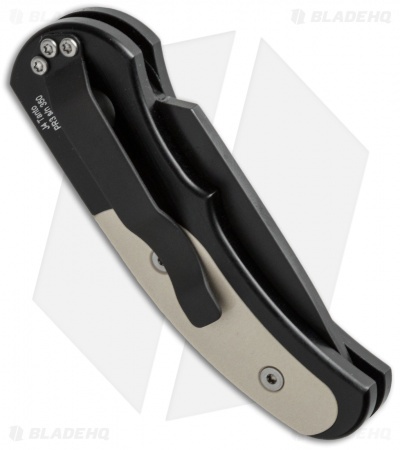 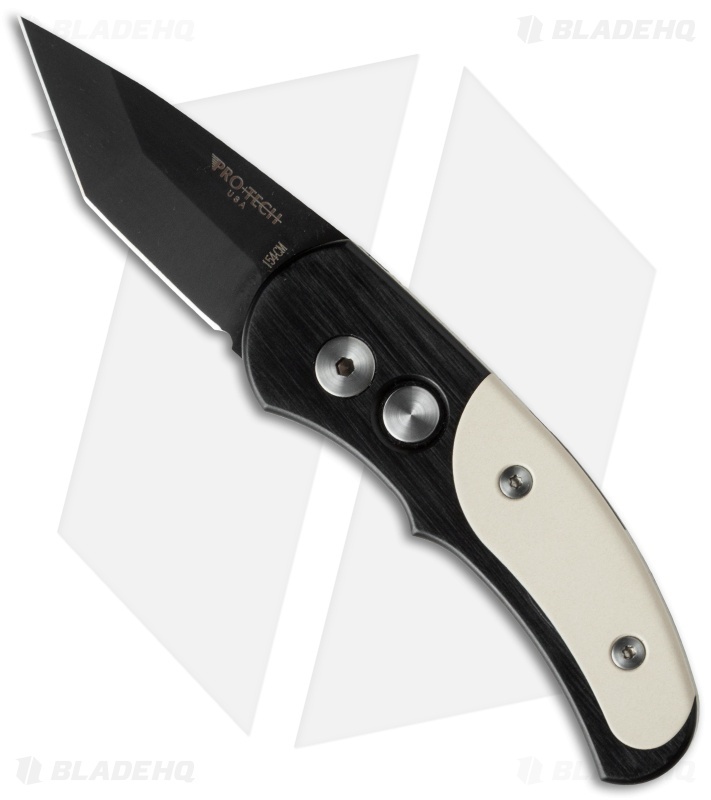 The Protech Runt J4 is an automatic pocket knife with a 1.94" California legal blade. The Runt opens with rocket force and has superb lockup. The tip-down carry pocket clip makes it a great choice for everyday carry. This J4 Runt has a black finished 154-CM tanto blade and black anodized aluminum handle with ivory Micarta inlays and a black pocket clip.